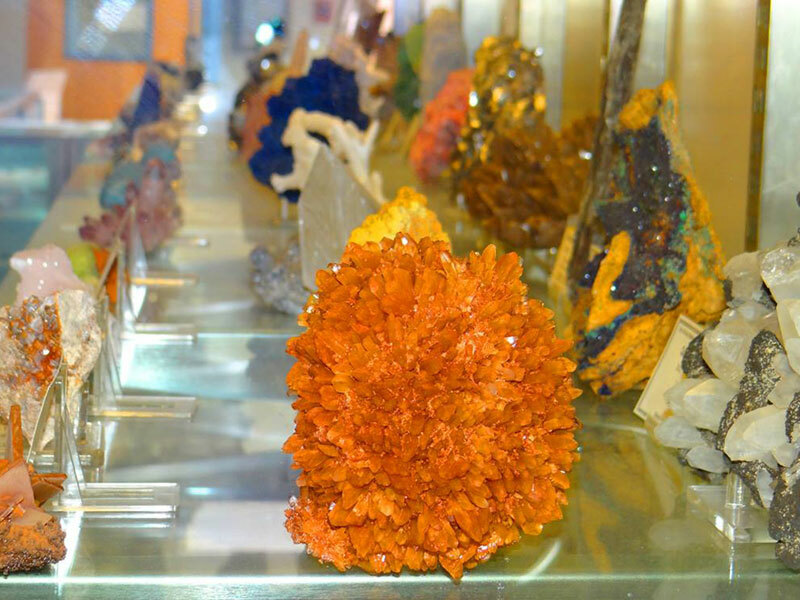 The Mineral Museum established in 1889, houses the collection of 15,000 mineral specimens and was assembled to assist with the education of the engineers and geologists and has grown to be one of the largest. Located at the NM Tech Campus; from California, turn west onto Bullock and keep driving west until you reach the corner of Bullock and Leroy. 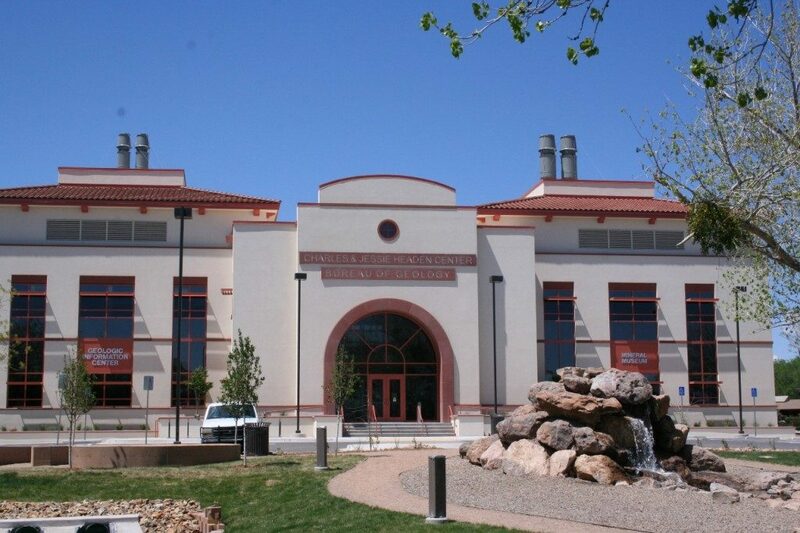 The NM Bureau of Geology Charles & Jessie Headen Center will be on your left hand side.